The spice must flow… as must the electrons. After Frank Herbert wrote the seminal science-fiction novel Dune in 1965, he shifted his sights from the far future to the near future, with the goal of demystifying a new technological arrival: the personal computer. 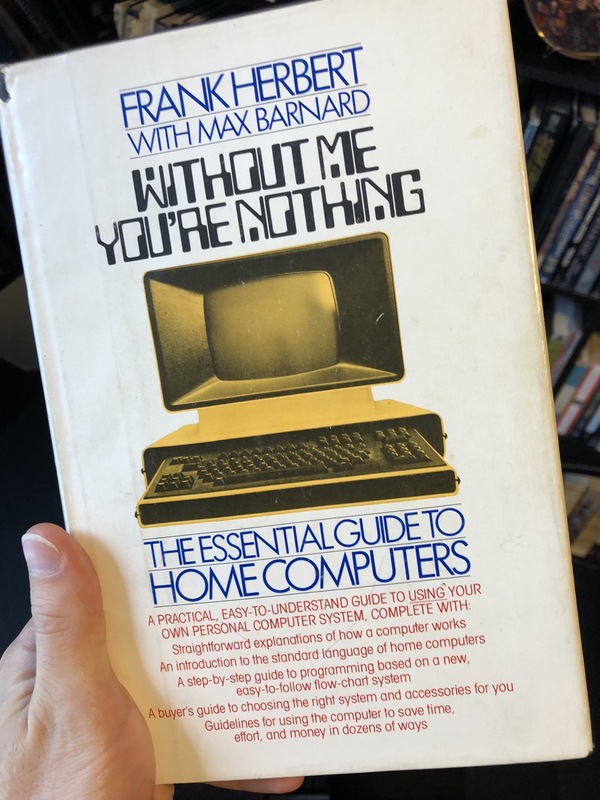 The non-fiction result was Without Me You're Nothing: The Essential Guide to Home Computers. Written by Herbert with assistance from Max Barnard, "a computer professional who handles both machines and programming and who designed Herbert's own home system", the book is a platform-agnostic guide to the basic functions of computer hardware, software, and programming. 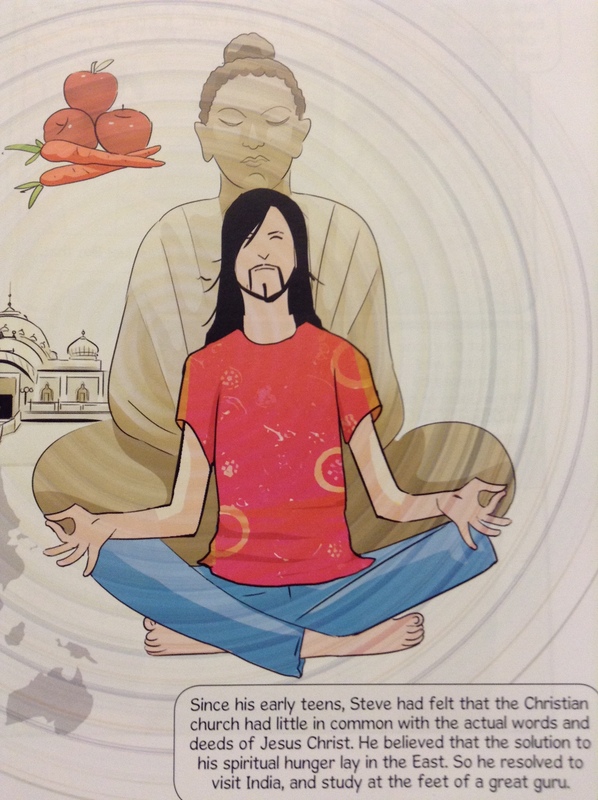 For example, the book breaks down the foreign vocabulary of information technology into more familiar concepts. Terms such as "input", "output", "CPU", and "memory" are instead referred to as "information", "action", "switching", and "storage", respectively. "Use the funny words if you must," says Herbert. Without Me You're Nothing (is that Herbert talking to the computer — or to the readers?) was published in 1980 in hardcover (ISBN 0671412876) and a year later in paperback (ISBN 0671439642), both of which are readily available from libraries, Amazon.com, and eBay. Another paperback edition was released under the name The Home Computer Handbook in 1981 (ISBN 057503050X) and 1985 (ISBN 0450056317). These computer books form two of the six non-fiction books Herbert wrote in his lifetime. [Herbert's] dominant intellectual impulse was not to mystify or set himself up as a prophet, but the opposite – to turn what powers of analysis he had (and they were considerable) over to his audience. And this impulse is as manifest in Dune… as it is in his computer book, Without Me You're Nothing. 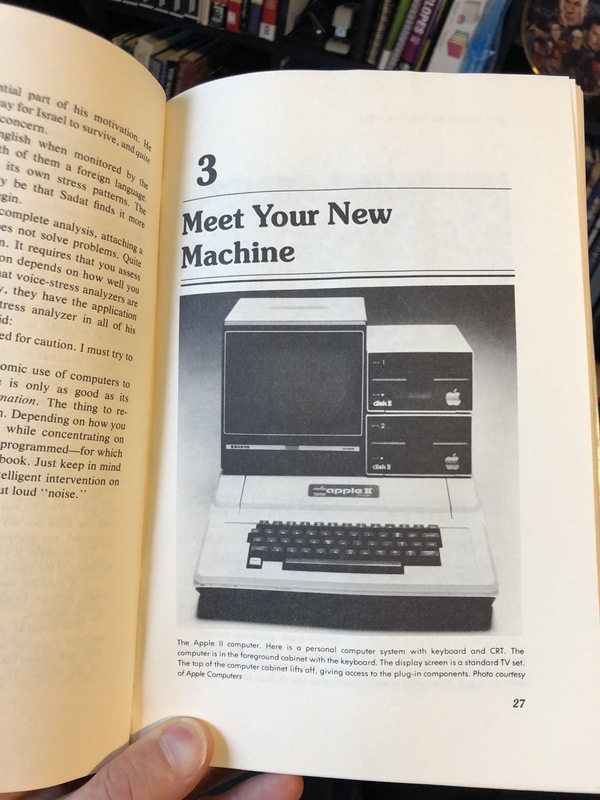 Being nonspecific about what computers the reader uses, the book makes little to no reference about the Apple II specifically. The exception is a black-and-white photo of the Apple II opening Chapter 3: Meet Your New Machine — followed immediately by a photo of the Atari 400. Of additional historical reference value are Appendix D, which includes the names and mailing addresses of the era's computer magazines (Byte in Peterborough, NH; Digital Design in Brookline, MA; ROM of Hampton, CT); and Appendix E: Microcomputer Accessories and Manufacturers, listing everything from Apple (770 Welch Road in Palo Alto) to Data General Corp (Southborough, MA) to Radio Shack (Fort Worth, TX). I haven't read the book in-depth — to be honest, I wasn't a big fan of Dune — but it's nonetheless a fascinating artifact of how early computers were perceived and deciphered by early users, grounding even someone accustomed to looking among the stars. Ready Player One was my favorite novel of 2011, providing a dystopian cyberpunk adventure targeted at geeks who grew up immersed in 1980s pop culture. I've since recognized the book's problematic elements with gatekeeping, transphobia, and fan service without substance … yet I still can't help but be fascinated by all the elements author Ernest Cline wove into his narrative. With Ready Player One's recent adaptation to film, audiences are discovering anew the Oasis, the fictional virtual world created by James Halliday (played by Sir Mark Rylance), a virtuoso computer programmer who sets himself up as the massively multiplayer online role-playing game's benevolent (but absent) god. Many of Halliday's (and thus Cline's) favorite games make appearances in Ready Player One, and in this new WIRED interview, Cline details each and every game in the movie — with one in particular being of interest to Apple II users. Akalabeth is one of the first attempts by a computer programmer to translate the experience of playing Dungeons & Dragons into a computer game. It was created by Richard Garriott, who also helped serve as the inspiration for James Halliday. Richard Garriot is a famous video game designer from Austin, Texas, where I live, who has an alter-ego: his Dungeons & Dragons and game avatar called Lord British. He would dress up as Lord British in public at press events and things. He eventually ended up using his video-game money to travel into space and go on the International Space Station. He was really an inspiration to me as like a geek with unlimited funds and what could be accomplished. So he and Howard Hughes helped inspire James Halliday in my book. And his game, Akalabeth, and the games that followed it: Ultima I, II, III, IV, and then Ultima Online, the first MMO, those all helped inspire the Oasis in my novel. While Garriott was directly referenced in the book, I didn't pick up any mentions in the movie. Little did I know that an entire, integral character was based on Lord British himself! 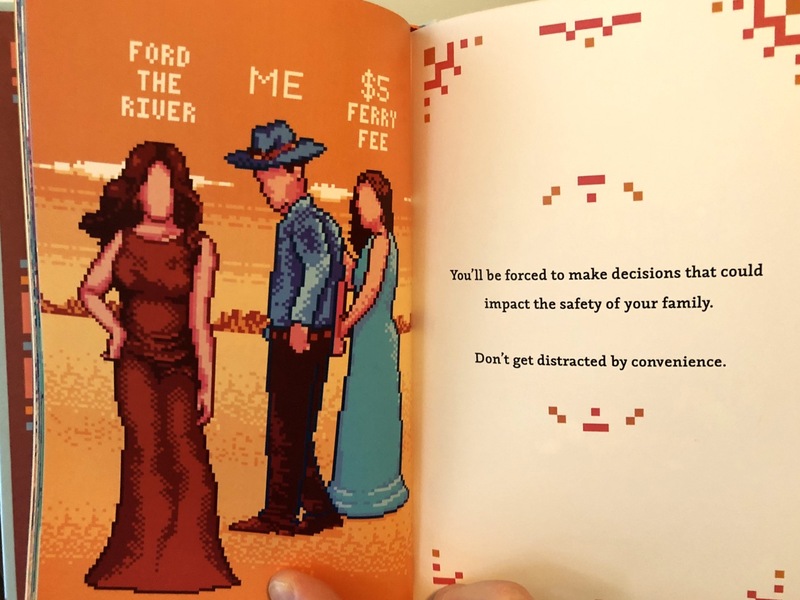 Oregon Trail has been adapted, reimagined, and rebooted more times than we can count. It's become a live-action role-playing game, a movie trailer, and a zombie apocalypse. But at no point has the real-life journey of American pioneers circa 1836 been recreated — until now. 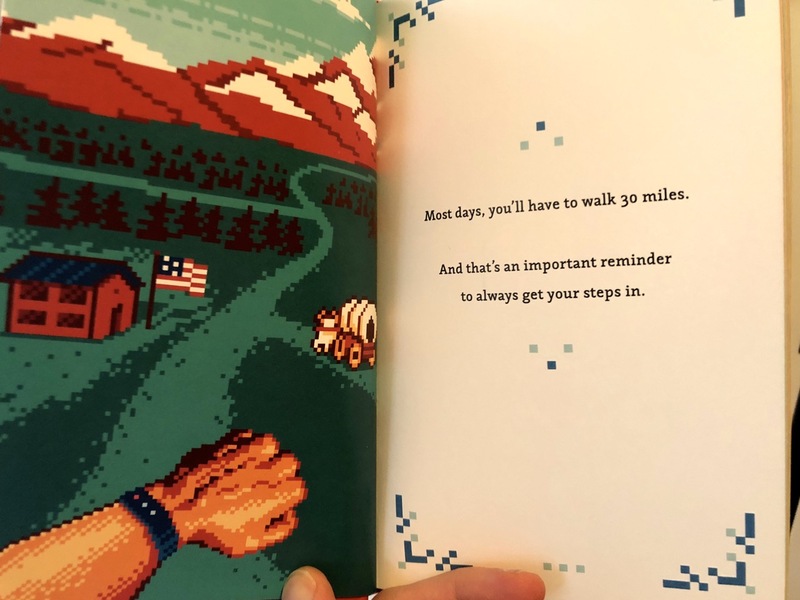 I'm not a huge fan of history, but The Oregon Trail: A New American Journey hits a sweet spot by intersecting with real and digital history. Even if the book never once mentions the game, I may need to pick it up to see what Buck's experience was and how it compares to that of the early settlers after two hundred years. In the past two years, I've reviewed three Steve Jobs films for Computerworld. While that market may be saturated, there are still other media left in which to explore the history and personality of Apple's most infamous co-founder. 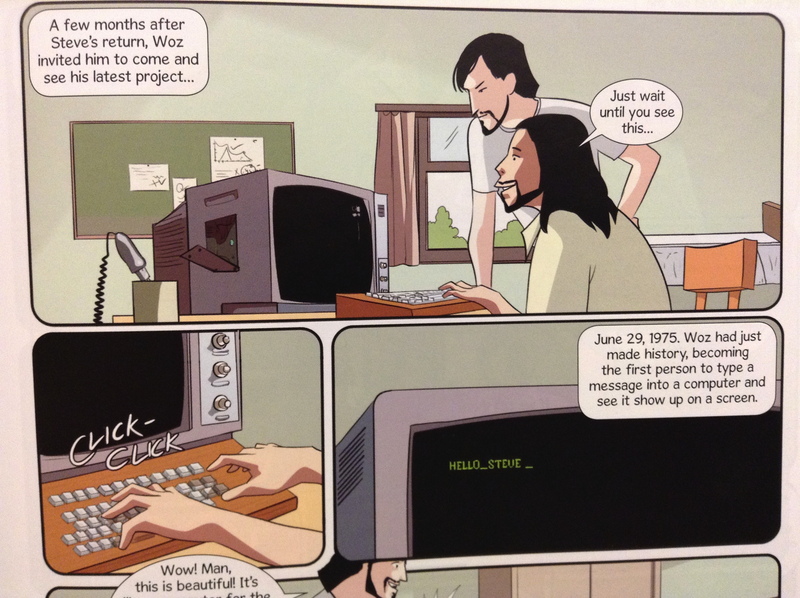 So, while waiting for the 2017 debut of the opera The (R)evolution of Steve Jobs, I hit up the local library for the graphic novel Steve Jobs: Genius By Design, by Jason Quinn and Amit Tayal. It was a fun book, and one that presented Jobs in a much more human light than many interpretations. The comic book medium affords the opportunity to visualize its characters' internal monologues through thought balloons, giving us some insight into Jobs' drive even as he's denigrating his own employees. 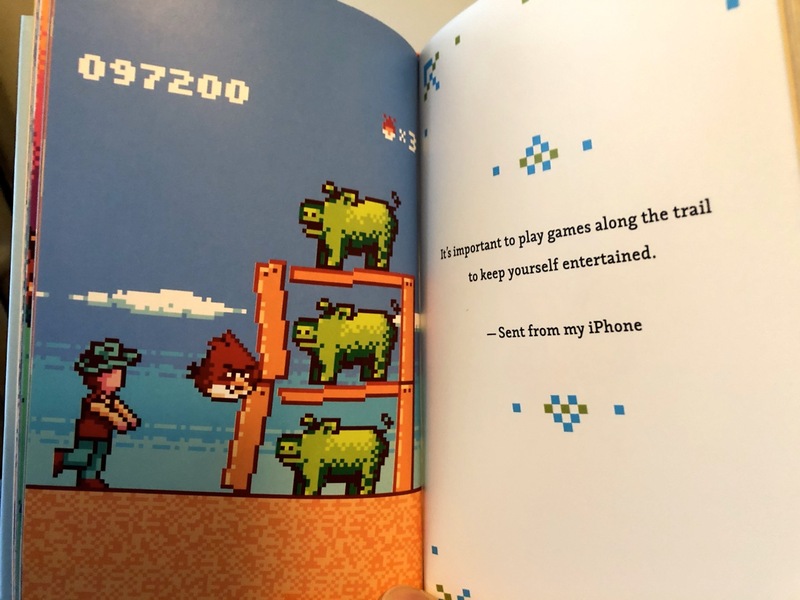 The art and language are fairly simple, by which I mean accessible — the 104-page book is rated for ages ten and up, cementing the book as being for young adults. Still, I sometimes question the art and word choices. The opening page shows the entire cast of characters from throughout Jobs' life all chatting together. 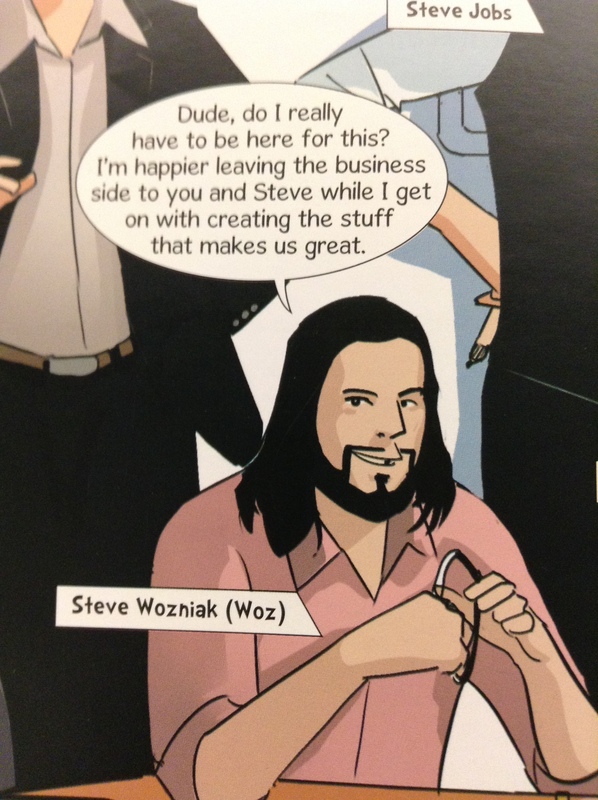 Here, Woz makes his debut, looking rather apish with dialogue that sounds forced. But the book is a short read and a welcome reprieve from the cinematic interpretations of Steve Jobs. For artists and developers who feel constraints breed creativity, the Apple II is a perfect platform for their pursuits: games, music, even arts & crafts have been created on or inspired by the machine. But what about books — and especially graphic novels? There are books about the Apple II — but how many were created on it? Although a fascinating concept, two elements seem to be lacking from the Kickstarter pitch. First, it's not entirely clear what format the book will take. Two sizes of hardcovers as well as an e-book are listed among the rewards — but will the e-book be a PDF, ePub, Mobi, Kindle, iBook, or something else? If it's an app, will it feature any interactivity or other features not found in traditional printed books? Second, it's unclear what the funding — $9,386 USD, or $12,000 AUD — will be used for. "The creative work is completed," says the project description. "Thus far I have looked at Lulu, Blurb and Snapfish as likely online print-on-demand companies to get the initial printing done." Does the print-on-demand route require such a large up-front investment? I'm unsure. Although the project still has more than three weeks to go, it seems unlikely that it will meet its goal, having achieved only 5% of its desired crowdfunding in the first week. Should the Kickstarter fall flat, I hope Stonecutter finds another way to get his completed work into the hands of the masses.